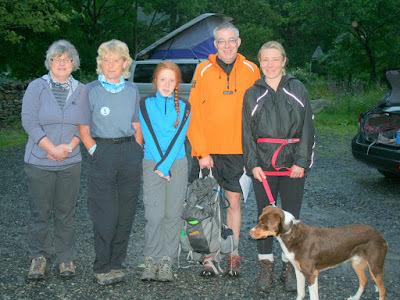 The 2015 Boundary Walk took place on Saturday the 4th July, with heavy rain and mist at the start. Here is a collection of photographs taken by the support teams at Glencoyne and at Kirkstone Top. Unfortunately, some walkers had left Kirkstone Top before the photographer arrived - if you are one of these, have your own team photograph and would like it to be included in this gallery, please e-mail it to us.